I’ve never given much thought to abandoned places, at least not places built in the last few hundred years. Ghost towns are dotted across the map – for the most part abandoned mining towns. Places like Chernobyl, or Chinese “ghost cities” are empty; Chernobyl for obvious reasons, and Chinese ghost cities for who knows what reason. 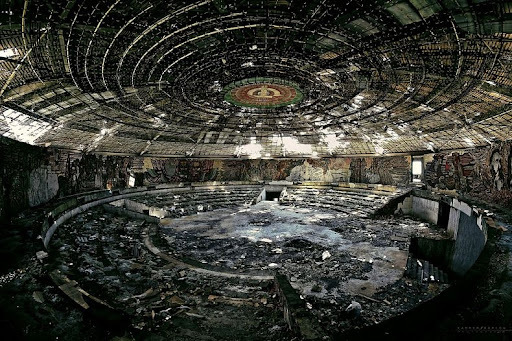 Every abandoned place tells a story; architectural “circle of life”. 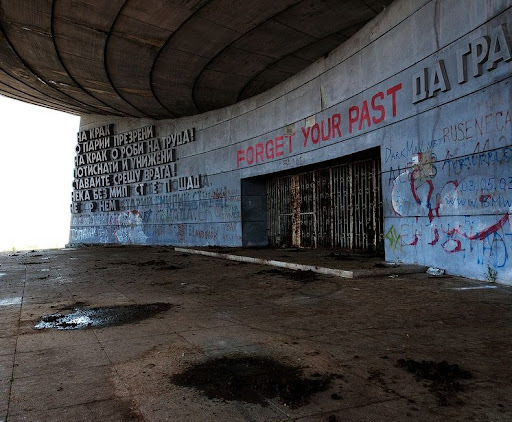 I stumbled upon Buzludzha today and couldn’t believe my eyes. 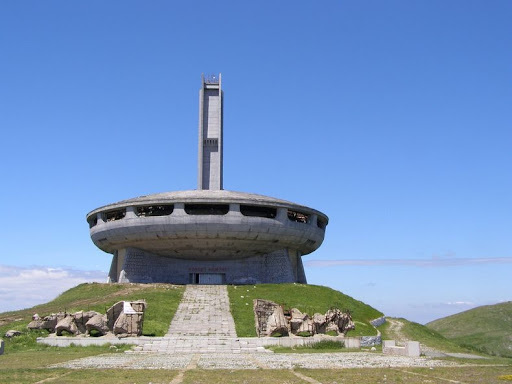 A massive monument built atop a mountain in a remote corner of Bulgaria, although abandoned it remains the largest structure ever built to honor socialist revolution. Built on the site of the last battle between the Bulgarians and Turks in 1868, it was also the place Socialists led by Dimitar Blagoev gathered in 1891 to plan a socialist revolt. At the height of Soviet Russia, donations – some voluntary and others mandatory funded construction of this gathering place for Communist Party celebrations that took place once a year. Military construction units took 7 years to complete the project, followed by another year and a half for artists to create elaborate mosaics, sculptures, and paintings honoring Lenin, Marx, and Bulgaria’s communist leader Todor Zhivkov. The interior had marble floors, 30 tons of copper covered the dome, and a huge red star window screamed Soviet Russia. 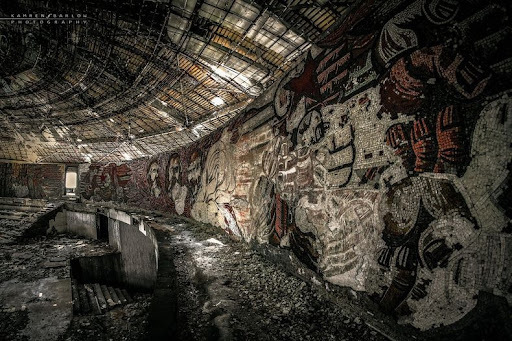 With the collapse of all things soviet in 1989, the building was abandoned. Now looted and vandalized, it waits for nature to take its course.